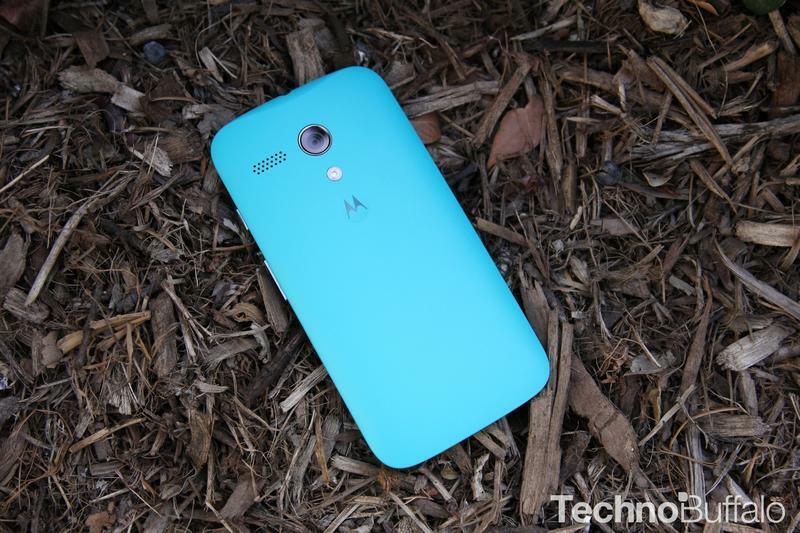 The Moto G is now a Google Play Edition phone. The device was quietly added to Google's store on Tuesday, offered in both 8GB and 16GB iterations—and for the same exact starting price of $179, too. The addition of the Moto G is a little surprising given the fact that it already runs a near-stock version of Android, with only a few additional Motorola tweaks to enhance the overall experience. This won't be like going from an HTC One or Galaxy S4 to a Google Play edition of either phone, which strips them of Sense and TouchWiz, respectively. The Moto G Google Play Edition still sports the same specs: 4.5-inch HD display, quad-core chip, amazing battery and the ability to change the device's rear shell. Aside from that, it'll come running the most recent version of Android—just like the existing Moto G does—and be offered through Google's official channel, rather than from a carrier or Motorola directly. Even though the difference between the regular and Google Play edition isn't all that substantial, it's certainly nice to have the option. This is probably the version you want if you need the latest Android updates first, though Motorola has been super quick to get those out to users on its own, too.